Sorry for my absence last week. Gosh, the week seriously got away from me and it was all I could do to keep above water - metaphorically speaking. Crazy! Anyway, here's the next installment of my plaid jacket chronicles. I think that picking an appropriate pattern for plaids can be a big deal. It can really be the deal cincher or the deal breaker. Some patterns don't do well in plaids, which, by the way a great way to find out is to do a plaid test garment out of plaid flannel shirting - something really cheap but plaid as it will give you a visual rendering of your pattern pick in a plaid. In this episode or (should I say webisode?) I'll be talking about picking a pattern and some things to keep in mind as you look. First of all, when picking a pattern for plaids, there's a good rule of thumb to go by. Have a look at the back of the pattern envelope and when it says "unsuitable for obvious diagonals, stripes, plaids or one way designs" you can pretty much leave that pattern alone. I have a few of those types of patterns and I wanted to share one with you, so that you knew why it would be unsuitable for plaids. This is Vogue 8576 (out of print now by the way) and if you take a close look at the pattern, you'll notice that it has a lot of seaming action going on. This is really great in a simple solid color because first of all, you can actually see all the seaming detail, something that would be completely lost in a print. But, can you even imagine this garment in a plaid? Even if you were to do this garment in a plaid, it would look completely crazy. There would be so much going on that it would leave those looking at your garment with a serious headache. Am I right or amirite? Now let's turn our attention to what will work. For jacket patterns, a few things you should note. I've found that most jackets have princess seams. 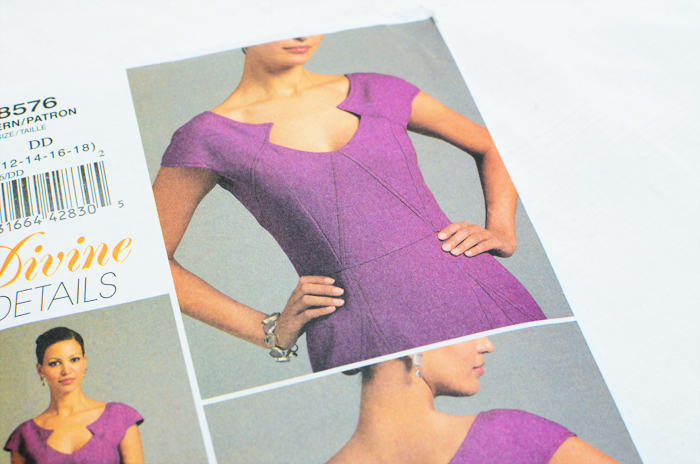 There are a few that don't, like this one above, but if you take a close look, you'll notice that Butterick 5926 is for double/moderate stretch knits. Yup. If you find that there is a jacket that doesn't have princess seams, you'll also find that those jackets are kind of boxy and fairly non-fitted - which doesn't necessarily mean that they aren't stylish. Take a look at the Colette Anise - boxy, yet stylish and it does have princess seams in the back. In my plaid jacket, using McCall's 6172 (above), there are actually quite a few seams for a jacket. I mean, there are princess seams in the front and in the back and there is also a contoured center back seam plus an upper sleeve and an under sleeve and finally there is a vertical dart in the front too. So, creating a plaid jacket with matching plaids to boot, does work in a jacket that has several seams. But maybe, for the second rule of thumb, its good to pick a pattern with as few seamlines as possible for your first try. Third rule of thumb - look for a pattern that has a plaid rendering on the pattern envelope. This is actually something that I read somewhere and thought was such a great idea. 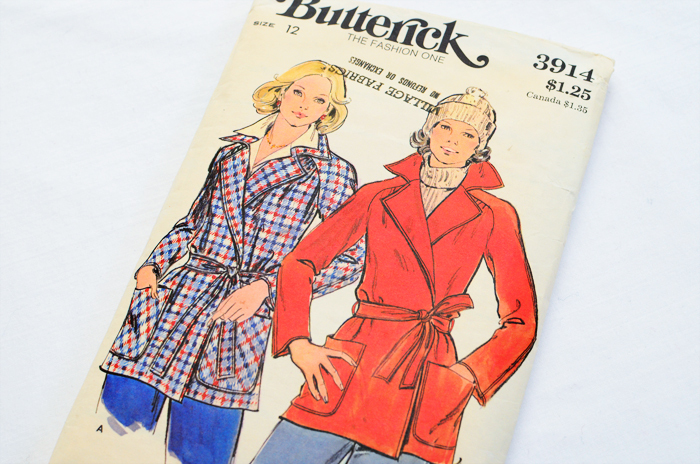 For example, this vintage Butterick coat is actually a pattern that for plaids I would have avoided. One thing to note about raglan sleeves is that you will never be able to match up the plaids if the sleeve were on the straight of grain. It's impossible. However, look what they've done here. 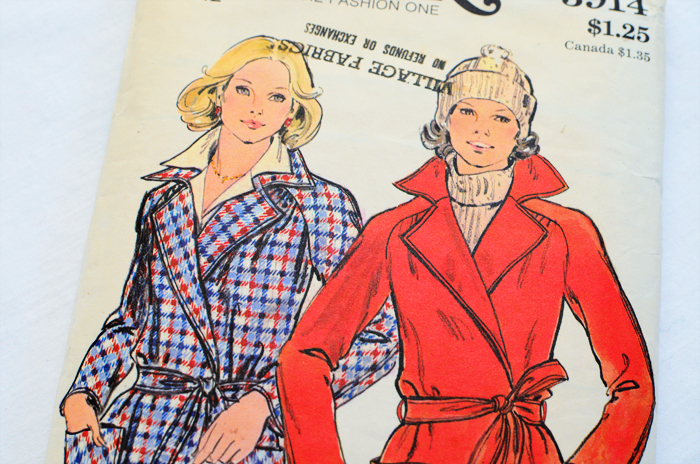 The illustration on the cover shows a coat, in a plaid with the raglan sleeve on the bias. Neat trick huh? This is also a great way to develop ideas for other patterns too. Think of the Minoru put out by the Sewaholic - you could do this same trick and still make a jacket/coat that works in a plaid. Fourth rule of thumb - think scale. This directly ties in with the fabric you have in mind to be using. I'm one of those who buys fabric first and finds patterns later. Some people are the opposite. Either way is just fine, but when the two meet, make sure you consider scale. A jacket that only takes up the upper half of the body might not look so great in a really large scale plaid. 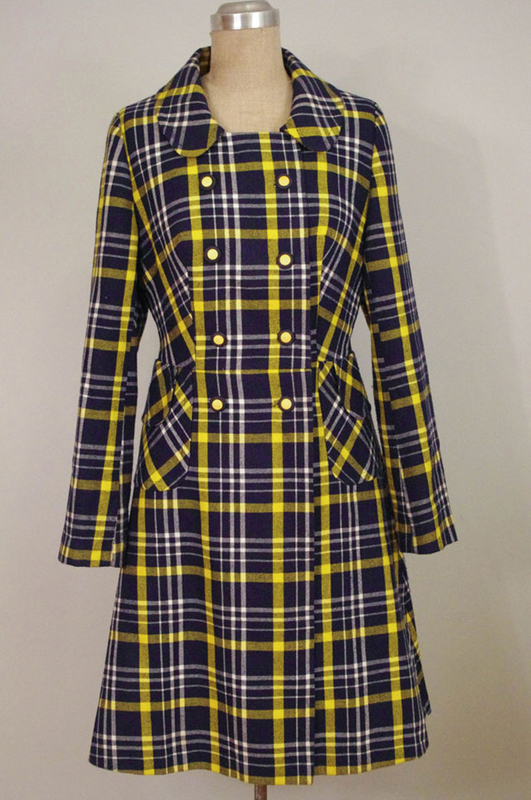 However, if the pattern were for a knee length coat, a large scale plaid might be just the ticket, whereas a small scale plaid might look really overwhelming because there is so much plaid going on. Color is a good thing to keep in mind too because sometimes the scale is fine but the colors make the plaid look really.... plaid. As in too much plaid. 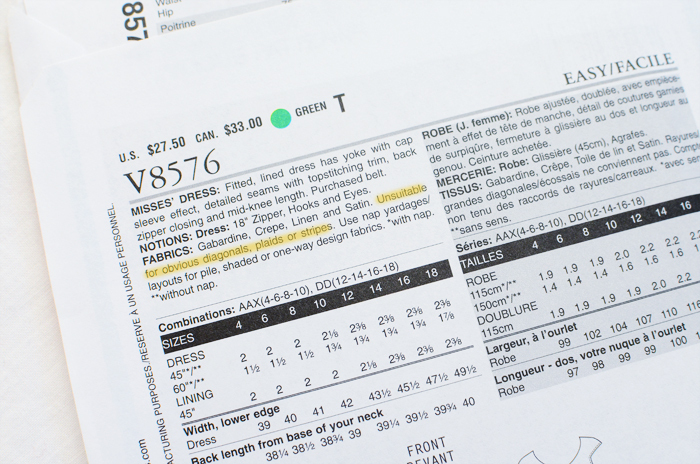 Last but not least, after you've finalized your pattern pick, start ruminating on the planning process. This might mean thinking about adding a solid color to your plaid, putting pieces on the bias, etc. I'll be talking more about this in upcoming episodes, but its something to keep in mind. These initial stages of fabric, pattern and planning kind of all happen at once or they come in waves of inspiration. There is no wrong way to go about these stages of planning a plaid garment, but it is important that the planning happens. Great tips, Sunni! 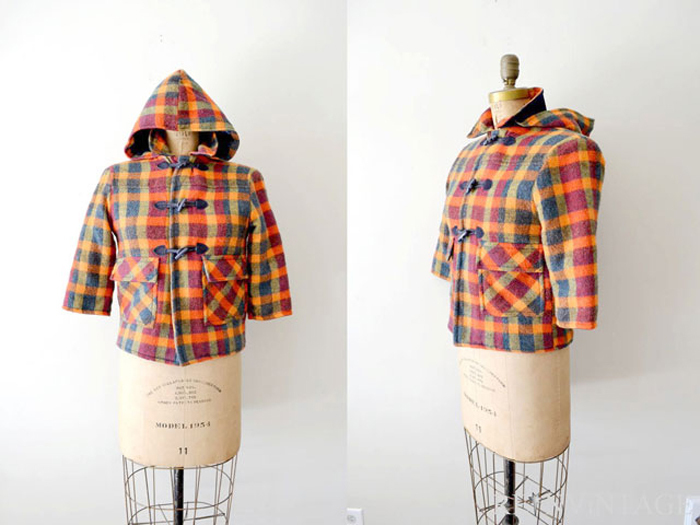 I'll be going fabric shopping with a friend in a week or two, and I'm excited to start scouting out plaids for a fall jacket! I have my fabric (the fabric always comes first for me) and I'm looking for a pattern. No pressure, but I look forward to the next installment as soon as I've finished reading the current one. Seriously, no pressure, for me the beauty of sewing is to relax and take it as it comes. Thanks for sharing your experience with us. Looking for patterns with plaid in the illustrations is a great tip-- I never would've thought of that! These posts have been so interesting and informative! Thanks for sharing!